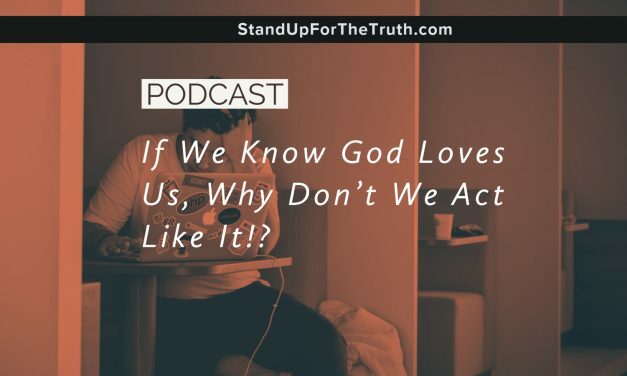 If We Know God Loves Us, Why Don’t We Act Like It? Mike LeMay is speaking at the NRB Convention through Thursday. Tomorrow’s show will be a rebroadcast from a past Friday’s Q&A episode with Mike and David. Today, our broadcast manager, Andy “Crash” Connell visits with Dave Wager. 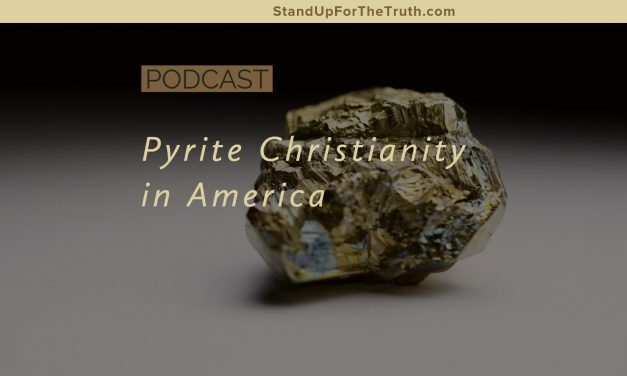 Pyrite is a mineral made up primarily of iron that looks like gold, thus it’s nickname of “fool’s gold.” It looks like valuable gold but in reality, it is generally useless and of little to no value. As America continues celebrating godlessness and too many members of churches fail to look significantly different than the secular culture taking over this nation. A growing number of churches and professing Christians are holding “fool’s gold” thinking it will save them when they stand before Jesus Christ as judge, only to find out what they hold is useless and even abhorrent before our Lord and Savior. Elijah Abraham is a former Muslim and now born-again believer who travels around the world proclaiming the gospel, teaching pastors, and equipping believers who face constant threats of persecution. 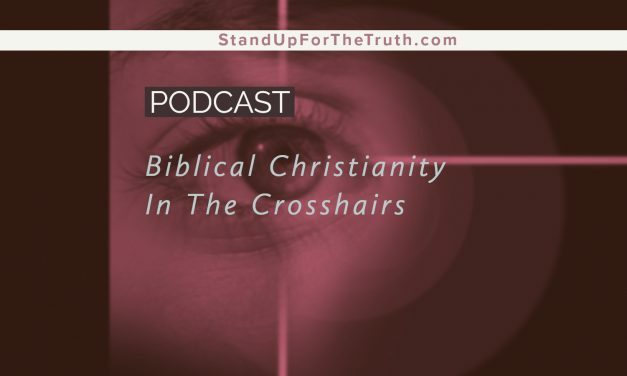 He shares insights about what he has witnessed with believers here in America compared to churches in countries where persecution is often a way of life. Elijah points out the lack of maturity, discipleship, and sound doctrine in too many American churches. 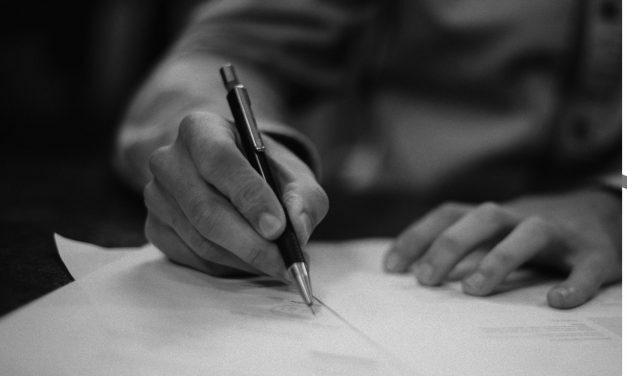 Christian Devotionals: Quick Fix or Contextual Study? A lot of Christians read quick, daily devotionals as part of their routine. The concern is in some cases it has replaced reading and studying God’s Word in depth as we become busier and busier and are looking for that “quick fix” instead of a deep, intensive Bible study. 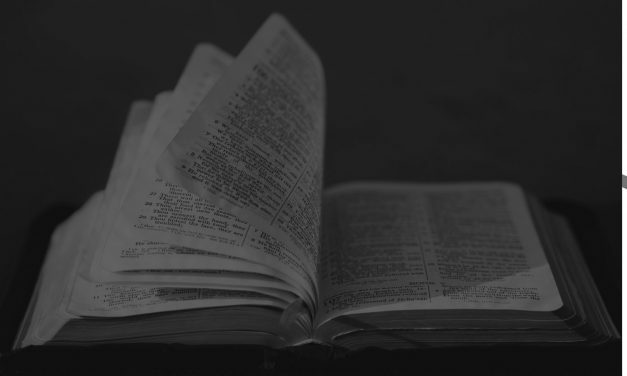 That is certainly not to say that all devotional studies are bad or wrong; but a devotional written by man will often have the slant or perspective of the writer and may or may not accurately reflect God’s message or context on the subject. The best devotional study we can do is one directly from the Bible itself since it is inspired by God and eternal truth. 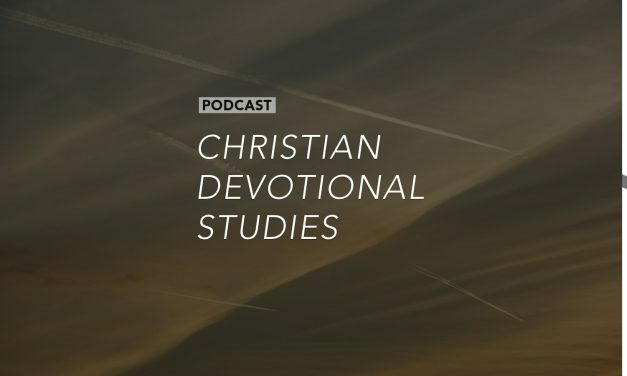 Pastor Jeff Solwold of Calvary Chapel in Madison joins us the good and bad of daily devotionals for Christians and how to use God’s Word to gain the wisdom and insight we need to navigate life in these challenging times. Pastor Jeff can be heard weekdays at 5a.m. here on Q90 FM Christian Truth Radio. 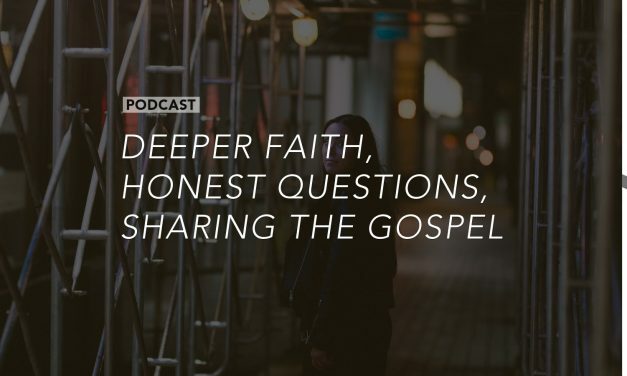 Today, Mike and David welcome first-time guest, evangelist, Willie Herath of Ratio Christi in southern California and we discuss apologetics, deeper questions in the faith, and how to effectively respond to nonbelievers. How important is it for us to be ready to respond when people have questions or have objections to Christianity. 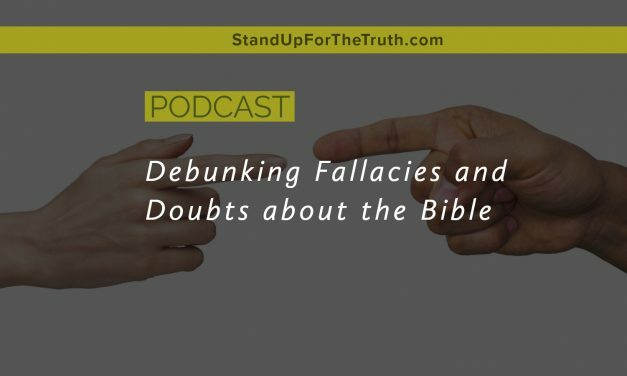 We often find out that they really did not know much about the evidence for the Christian faith and the Bible. We also talk with radio host, Mike Zander, from Utah’s Key Radio where he reaches out to Mormons in Utah with the gospel. He’s in town today and in-studio with Mike LeMay and David Fiorazo. 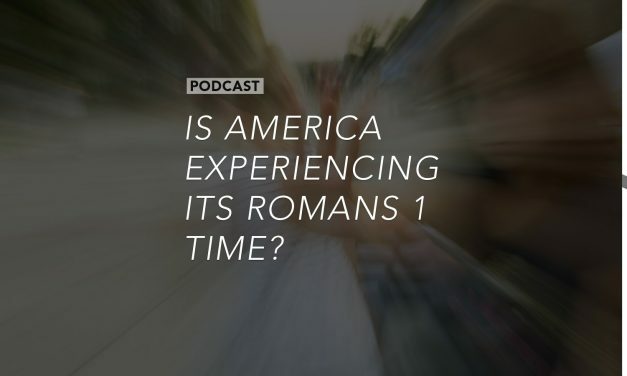 Is America Experiencing its Romans 1 Time? In Romans chapter one, Paul explains that since men reject the truth of God, He turns them over to a reprobate mind to think and do evil in astounding ways. Their rejection and hatred of God fuels them to believe and do unthinkable evil. Sixty million murdered children in mother’s wombs in the U.S.; homosexual marriage legalized; and gender dysphoria accepted as “normal” with the government paying for people to try to change their gender (something medical science says is quite impossible), all point to a collective depravity in a nation established under God’s Laws and moral principles. And in the meantime, American Christianity gladly allows secular culture to infiltrate and influence her to the point that churches and their members look more like the world than a unique, holy people. Gary Kah of Hope For the World joins us to talk about these issues and discuss globalism, Israel, the political divide in the U.S., and a report that President Trump will be unveiling a peace plan for the Middle East that seems to have Israeli officials very nervous. 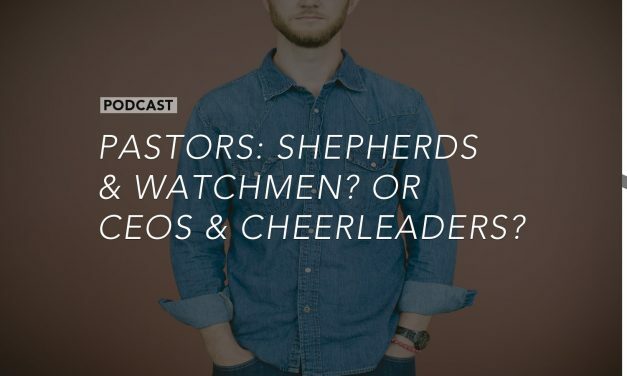 Pastors: Shepherds and Watchmen? Or CEOs and Cheerleaders? In our first segment, we visit with Aaron Marshall of Ratio Christi Ministries to discuss the challenges of campus ministry when many colleges are trying to squelch Christian ideas, values and free speech. 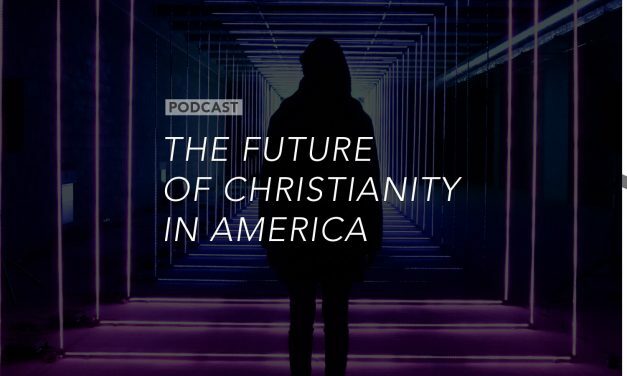 2019 will bring powerful and unique challenges and opportunities for the Christian Church in America. 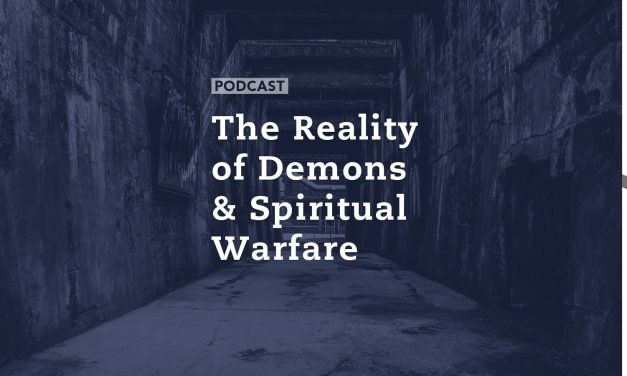 Satan’s battle against the Church will intensify as he acquires more and more allies to join him in his plan to neutralize the Church by making it look more like the secular culture it is supposed to resist and oppose. We start this new year by looking at the prophetic signs of 2018 that might be pointing to the return of the Lord, along with the increased persecution of true believers around the world. Is this persecution a preview of the life coming for true believers in America? How would you feel if friends invited you to their home for dinner and when you sat down to eat they served jars of Gerber’s baby food? Would you feel awkward, embarrassed or maybe even offended? But too many churches today are practically doing this with God’s Word! 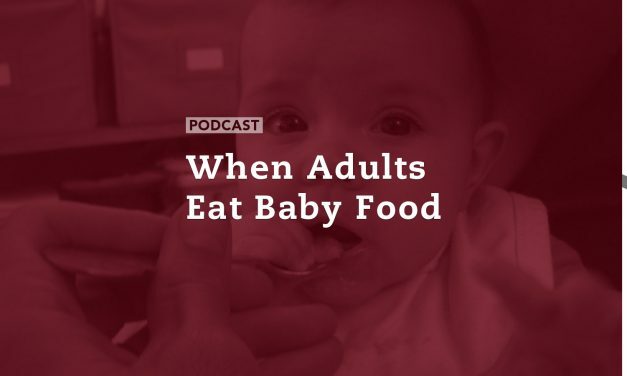 Let’s look at this from God’s perspective as written in the Book of Hebrews: God has given us great principles and depths of wisdom in His Word and believers are instructed to move on to maturity in Christ, so how might He feel when instead of getting to the solid “meat” of His Word we keep drinking milk or eating baby food? Pastor Mike Abendroth of No Compromise Radio joins us this morning to look at some challenging and controversial verses in Hebrews 5 and 6. In our final segment this morning we look at a heart-breaking story of a six year old boy trapped in gender confusion because his mother insists he is actually a girl and dresses him that way, but when he visits his father he wants to dress like and be called a boy. You guys always have great discussions with people from Ratio Christi – what a solid ministry. How do we best understand the topic of the eternal security of true believers? I was an atheist and many people planted seeds in me through the years. I don’t think there is a ‘one size fits all’ method of evangelism. People are reached in different ways. Regarding witnessing and the true conversion of young people such as college students, I think their faith often depends on discipleship and on what church they end up attending. Loved your spirited discussion about praying for Justice Ruth Bader Ginsburg after she fell. It is both right to pray for her to be saved or healed as well as to pray for God to remove her from her position of influence on SCOTUS. Your show has helped me find a new passion for the Old Testament, thank you. Serious Christians better understand that Liberalism is not only a cancer to our country but also to Christianity. To claim you love God more than anything but then blatantly disobey his clear teachings on life, marriage, and gender cannot be reconciled. First time guest, Vas Avramidis, Ratio Christi chapter director at Rutgers University, joins us today. 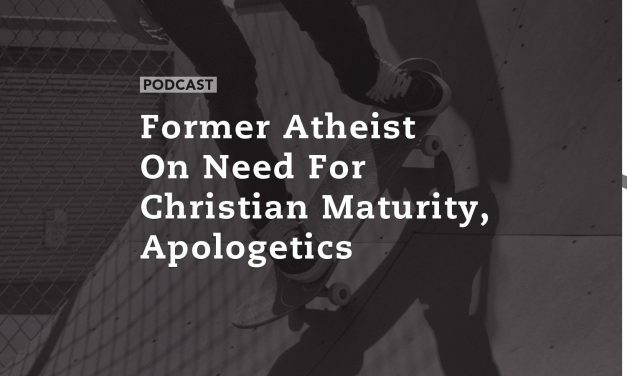 Being a former atheist, Vos quickly learned at college that most Christian students could not explain why they believed what they believe. He tried Buddhism, became a Wiccan, and even explored Hare Krishna before coming to faith in Jesus Christ. He then realized how important and vital it was for Christians to not only share the gospel, but to disciple and prepare young people for the hostility toward Christianity on most college campuses. We also discuss a lack of maturity overall in the church today which goes right along with the high degree of biblical illiteracy. We’ll talk solutions. It’s Friday. There are always so many good questions and comments to get to, so her we go. My daughter is 16 and wants nothing to do with church anymore, even though we raised her in church, the word, and prayer at home. She claims Christians are hypocrites and I fear she will be lost when she goes off to college. I hear more Scripture in one hour on your show than I hear in a month coming from our pastor on Sundays. Other than in Christ, is there any hope for our children and grandchildren to have a good life in such a dark culture driven by a godless, postmodern education system? I am a “classical liberal” (not modern) but the primary reasons I vote for Republicans is they are pro-life and support free market capitalism. Over the last several decades, we have been informed of how anti-Christian the progressive public schools are and that our children are being indoctrinated. Why is this not a bigger issue that Christians still send their children to such a hostile environment to be “educated”? I am disappointed by your statements regarding the Ford/Kavanaugh allegations. You assume Kavanaugh is innocent, I believe Dr. Ford. Three people know the truth: Ford, Kavanaugh, and God. The left doesn’t even know what “civil” means anymore. Their fruit is the opposite of truth: double-speak, hypocrisy, and often, outright lies. I am a Christian and have supported the Democrat Party all my life, but cannot do so any longer. They are willing to destroy people to gain power. I was also supporting the killing of innocent children through abortion. The #MeToo movement is causing many parents to be concerned for their sons in the future. We should raise sons of high moral character and integrity, but what about our daughters? They will be affected by this one-sided movement as well but I believe this should be a two-sided conversation in our society. From that Barna survey you read, it sounds like many “professing born-again Christians’ are false converts that trusted an empty gospel of life enhancement. I wish we would rethink denominations within Christianity. They seem to divide and do more damage than good, and often produce “fake Christians” – and impediment to true Christianity. We are fresh off of Easter weekend as many of us celebrated the death, burial and resurrection of Jesus Christ—God in the flesh who shed His blood for our redemption. He has freed us from the power of death and sin. But with the simple yet profound message of the gospel, many Christians are still often confused about what this life should look like. Did Jesus die so I could be healthy, wealthy, or comfortable in this life? Are my physical sufferings or trials a sign of a lack of faith? If the Bible says Jesus has taken our sorrows, then why do we still struggle with sadness and anxiety?Pastor Randy White joins us to look at the promises of Jesus Christ and how we apply them in correct context to our lives as His disciples. The only thing that never changes is God; everything else is in a constant flux of change: sometimes for the better and sometimes for the worse. The professing Christian Church in America has gone through a gradual change over the past several decades as secular culture has slowly infiltrated and influenced it. As secular culture, public education, media, and an increasingly powerful government put pressure on the church to approve of a godless agenda, we will see many churches start to buckle to the pressure and conform to the world. Jay Seegert of The Starting Point Project and Elijah Abraham of Living Oasis Ministries travel around the nation and the world sharing the gospel and equipping churches to remain anchored to the truth of God’s Word in a world that is pressuring them to conform to the ways and values of this fallen, sinful world. They both join us in studio for a frank discussion on the condition of the church and professing Christians in America. Americans have been historically blessed with a Constitution that guarantees us the right to religious beliefs and expression of those beliefs. But slowly and surely those freedoms are under attack by secular humanists, public education, media and an out of control government. At some point we will reach a breaking point in our nation where the Bible is viewed as hate speech and where every person who trusts in it as the Word of God will be seen as dangerous.Joining Mike and David today is Pastor and best-selling author Carl Gallups. Carl is a student of biblical prophecy and has studied the trends in Europe where Christianity has all but been eliminated from society. Is America next – and what will be the consequences? The life of a disciple of Jesus Christ can be complex at times. The Bible tells us we should trust God in all matters. It says we can approach the throne of God in confidence with our petitions. And yet it also says to fear God. 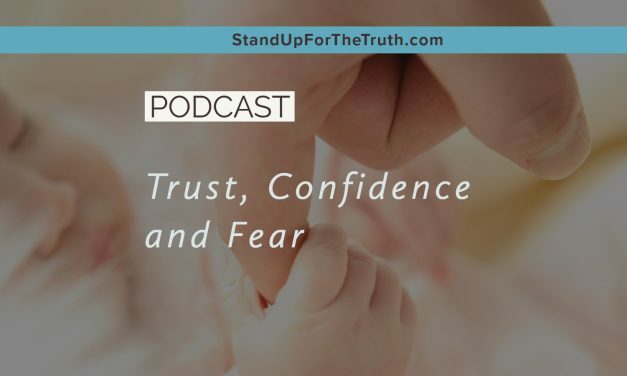 Trust, confidence and fear: Not always easy to reconcile all three of those, yet this is the life we are called to as believers, particularly in a world that increasingly hates God and we who are disciples of Jesus. Two facts are indisputable these days. First, the world is growing more evil. Darkness is increasing and God’s Word is being openly mocked and ridiculed. The second fact is too many believers, people who profess to be Christians, are ignorant of the truth of God’s Word. This leads to being ineffective in bearing fruit, living the Christian life and sharing the gospel of salvation with others. 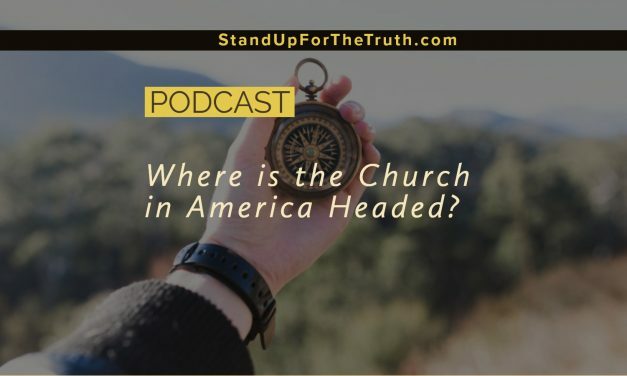 This not only opens the door for confusion, chaos, or crisis in society – but also in the church.Our guest today, Carl Kerby of Reasons for Hope Ministries, is tackling these problems head on, speaking, traveling, and by producing a video series called “deBUNKED,” answering key questions and refuting statements of skeptics. Carl is teaching Christians how to be effective in sharing the gospel and be better apologists for God.